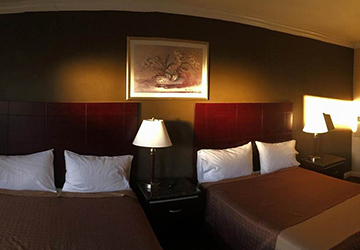 Deluxe Family Suite includes a separate living room and a bedroom with 2 double beds. 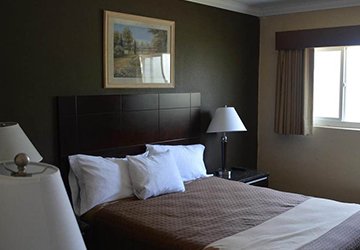 This room has cable TV with a DVD player, a mini-refrigerator and a private bathroom. 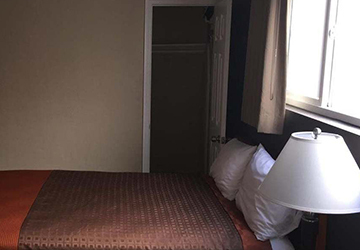 This room includes cable TV with a DVD player, a mini-refrigerator and a private bathroom.